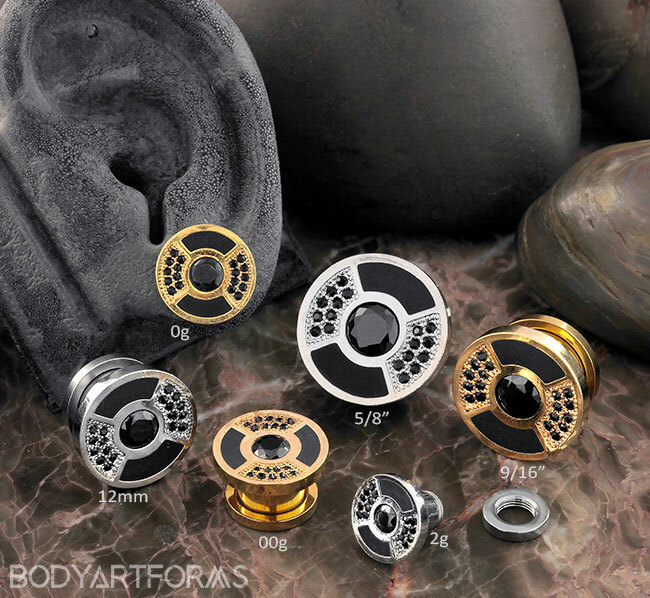 Filter by gauge Show all gauges 2g 0g 00g/10mm 12mm 9/16" 5/8"
These bling disc plugs feature a face that is bedazzled with black CZ gemstones in a symmetric pattern. They are available in gold or silver color . The overall length measures 7/16"